We wanted to give you a bit more background and information about the orphanage where we are volunteering. 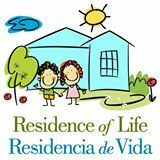 Residencia de Vida (Residence of Life) began as a dream almost thirty years ago of a truly giving and Christ lead person in Cherie McCullah. We are blessed to call her a lifelong friend after just a couple of months of knowing Cherie. Cherie’s story is about following a dream and following what Christ has called her to do. It began when she was at college when she had a dream where she was in a room full of children and they were calling out her name and hugging her. She leaned down to hug the children and then she woke up. Since that day, Cherie has prayed about starting an orphanage, and through the years God has given her assurance that it would happen. She started pursuing her dream full time about 10 years ago when she worked at an orphanage in Nicaragua. She then moved to Costa Rica and worked at an orphanage, Hogar De Vida, in the town of Atenas. Most of the younger children in the orphanage were adopted out, but there were some that continued to stay and not get adopted. These children kept asking why they were not getting adopted while so many of the other children were. In 2010, Cherie decided to start the process of opening an orphanage for children that had a low chance of becoming adopted. Her vision was to open a home that was permanent and where the children knew they would stay with Cherie until they were legal adults. The long-term vision of Residencia de Vida is to provide a safe home for up to one hundred abandoned children in Costa Rica. The home receives children ranging in age from infancy to eighteen years old. These children for one reason or another have not been able to be adopted. The reason usually is that they are older than toddlers or that they are in sibling groups. Instead of staying in orphanages where they see lots of turnover of other children, they are cherished, cared for and prepared to thrive in adolescence and adulthood. Rather than continually moving from home to home and place to place, Cherie provides a home for those that have never had a permanent home. Currently, Residencia de Vida has 6 children and may possibly take in 2 to 4 more children in 2015. Last month Residencia de Vida moved towns from Atenas to Grecia. Cherie loves the town of Grecia and the members on her board live in Grecia. So it just made sense to make the move and find a slightly bigger home in the process. This new home will be able to house more children as well as support visiting mission teams that want to come down and support the ministry. As with any new endeavor, be it a business or an orphanage, you never know what each day will entail. Cherie’s days are filled with both long-term visions (like talking about strategies and fundraising) and day to day running of the orphanage (like taking out trash and putting band-aids on scraped knees…this one happens a lot with all the soccer that is played). For our family, it has been awesome to be part of the “start-up” phase and to help Cherie fulfill God’s dream. Here are some photos of Residencia de Vida’s new home in Grecia. So what do we do on a daily basis? In the simplest of terms, these kids and Cherie have become family and what do you do with family? Well like most families, we play together, we learn, we eat, we take care of the house, we plan, we laugh, we get groceries, and we dream. We volunteer four days a week, Friday-Monday. Most days, we go as a family but at times we don’t all go due to one reason or another. Maria and Cam adjusted very quickly to Cherie’s kids and from day one played with their new Costa Rican “brothers and sisters.” Cam likes playing with Jacsel (boy age 8) and Emanuel (boy age 6). They play chase, soccer, gather fruit and all the typical things that boys do. Maria loves going over because she gets lots of loving from Nati (girl age 13), Esmeralda (girl age 11), Nay (girl age 8) and Priscila (girl age 12) as well as the Tia (house mom), Rosa. Joellen was more reserved and it took time for her to become adjusted and make friends because of her personality and the language barrier. But Joellen has come a long way and now talks in Spanish with Cherie’s kids and plays with them. Yesterday, Joellen even played soccer with them…now that’s progress! Now all the kids tease each other and enjoy each others’ company like brothers and sisters. Sure, some days our three kids don’t want to go and some days they can’t wait to go, but in the end, it has been such a great experience sharing God’s love with some special kids who have experienced more hardship than any human should in a lifetime. For Jen and I, we focus on doing all that we can to help support Cherie and her vision. We help teach English simply through conversation and playing games like Bingo. We talk in Spanish and have Cherie’s kids talk in English. They are always laughing at my pronunciation but I think it’s getting better. We also sometimes lead art projects and science projects. But everyone’s favorite thing to do is walk down to the local soccer field and play. We play soccer, climb trees, do gymnastics, and get muddy (there is a small coffee plantation right next to the soccer field that Maria and Emanuel love to go in and dig in the dirt). And the new ritual is that we all hit the local panaderia (bread shop) on the way back to buy gum and fresh bread. Jen laughs that she has become an expert ironer and has easily ironed more clothes over the last two months than in all the 15 years that we have been married. The reason being is that in Costa Rica all students have to wear uniforms and if the uniforms aren’t pressed well enough, they get sent home. 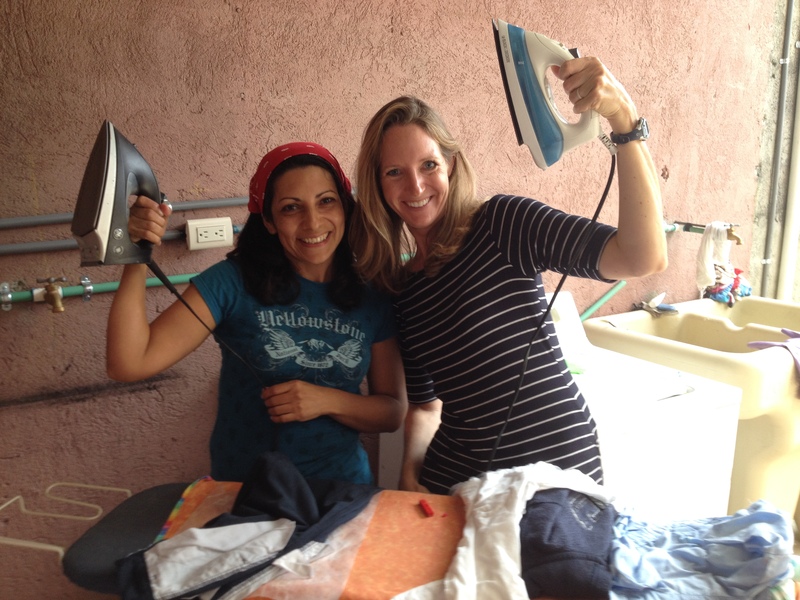 Jen loves ironing with Rosa, one of the Tias that works at Residencia de Vida. They stand out on the back porch ironing together and talking in Spanish like two little old biddies. Jen loves the everyday running of the orphanage. For me, I thought that Costa Rica was going to be more Jen’s part of our two year trip and wasn’t sure exactly what or how I would fit into the orphanage. But one thing that has been a pleasant surprise has been helping Cherie more high level, with clarifying the vision, mission, and strategic objectives of the orphanage. It is exciting to be part of something that serves such a great need and is still in the formative part. Residencia de Vida is unique in that it serves as a permanent home rather than a temporary adoption home. It breaks Cherie’s heart when she gets the too often call from Pani (Social Services Agency of Costa Rica) asking if she could take in more children. Of course she wants to, but it will take time to buy/rent a larger place and raise more funds. If you or your family wants to get more involved in supporting the orphanage through gifts of time, talent or treasure, please let us know. Some have asked, how has this changed us, or what do we plan to do going forward as a result of volunteering at the orphanage, or will we adopt? The answer is not as deep or profound as one might guess. For us, it has simply has been a way to strengthen the beliefs that our family has always valued, helping out those less fortunate. We currently don’t dream of doing something as big as opening an orphanage, but we will continue to serve those less fortunate with a compassionate heart. In terms of adopting, we are just not sure. It’s hard to volunteer at an orphanage and not have the idea enter your head. But we will just stay open to what God wants us to do and time will tell. We are just so excited to be able to volunteer for another three months at Residencia de Vida. In early January we will head back to Florida to the sailboat for another season of sailing. In and around May of next year, we plan to come off the boat, sell it, and start the search of our next home in the US and the next career path(s). You never know though, we may end of coming back to Costa Rica for another year. This country has a way of grabbing a hold of you. We are not exactly sure of our future plans, but it is something we often pray and talk about as a family. Again, only time will tell. Hello! do you have any contact number so I can reach to you in Grecia? You guys are an inspiration to all of us! Keep up the good work & God bless Cherie’s family & all of you! Thanks for the catch up. What a wonderful thing you are doing. Hope we get to see you all in the spring! Wow, thanks for the detailed update! I loved the glimpse of your daily life and Cherie’s vision! Continued prayers for all of you! 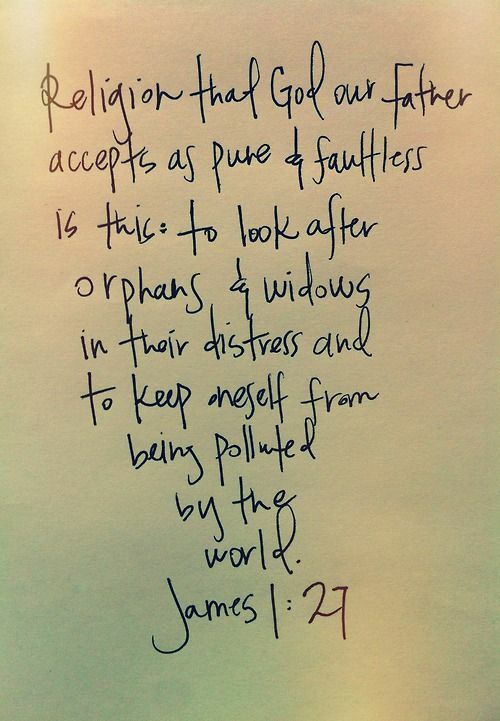 Beautiful update:) Your family is Blessed as you give to others!